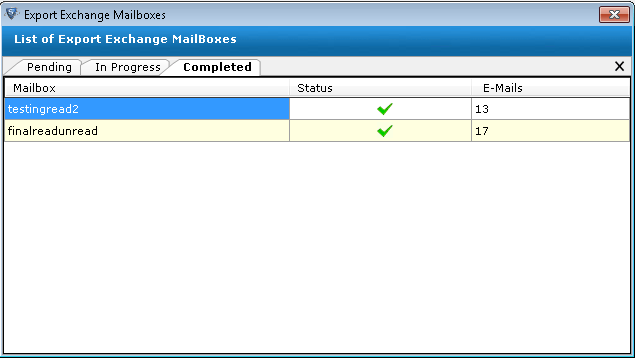 It is very easy to export each emails from exchange database edb file. 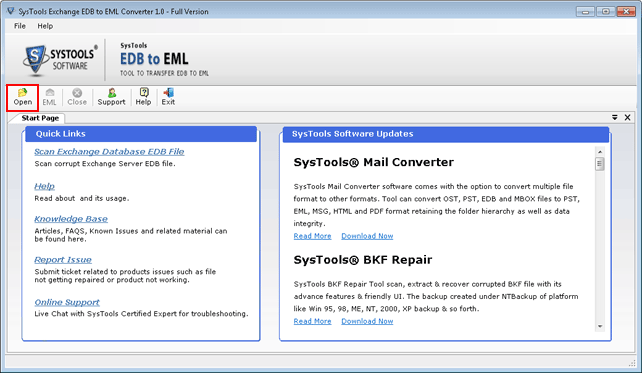 Simply download the edb to eml converter software online and then perform conversion. The software will save each email in eml format with its meta property. The exchange export mailbox to eml software provides two options for recovery. Select either Recover Exchange Server Private Store Database File (Mailboxes) or Recover Exchange Server Public Store Database File (Public Store File). Before exporting exchange mailbox emails to eml format the software scans entire database. It provide two scan mode Quick & Advance. For minimal corruption use quick scan mode otherwise go for advance scan option. EDB to EML Converter Software enable user to preview all scanned exchange mailbox emails before converting it into eml format. Software will list entire folder in folder list pane, simply select folder and preview all items in that folder. After previewing all scanned files and folder. Exchange to eml converter software enables user to select required files from any folder. And the software will include only selected items in the conversion process, It saves user′s time. User can convert unlimited items from exchange mailbox. 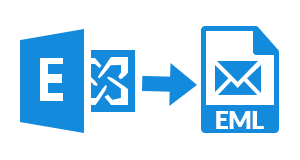 The edb to eml converter utility does not posses any size limit. User can convert complete database into eml format. The software scans entire mailbox and then convert into eml format. If emails were stored in particular folder structure and you want the resultant eml file in same folder hierarchy. Then this edb to eml converter will maintain folder structure same as in source file after conversion into resultant eml file. After successful conversion of exchange edb file to eml format. The software generates live conversion report. In this report It will list pending, completed and in progress status. User can save this report in .csv format. Can I Convert Permanently Deleted Emails? Yes, For permanent deleted (shift+delete) files recovery. But for this you need to scan edb file in advance scan mode. Does the Software Support Bulk EDB file Conversion? No, The edb to eml converter tool enable user to export only one emails at a time. But it provides feature to export multiple emails from the single edb file. Can I Recover Virus Corrupted EDB file Data and Then Convert Into EML? Yes, Scan the corrupted file in Advance Scan mode and then convert it into eml format. Is it possible to import resultant eml file in supportive email client after conversion? Yes, After conversion user can easily import converted file in any supportive email client. Does software posses and exchange server version limitation? 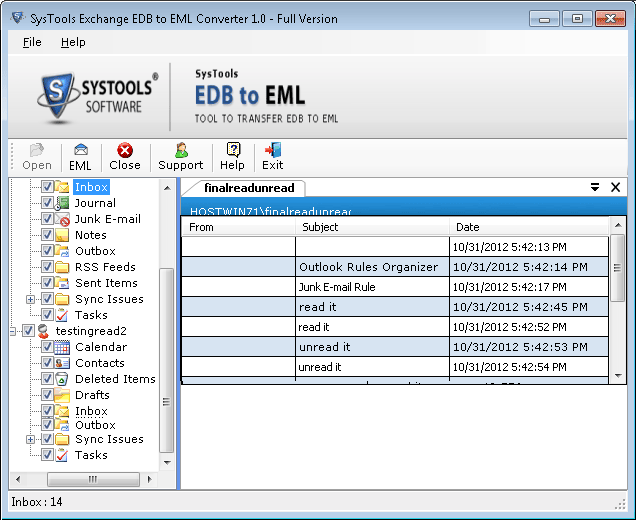 No, The edb to eml converter tool can convert any version exchange server edb file items into eml format. Like Exchange 2010 etc. Install the EDB to EML Converter Tool on the host machine and then hit on the Open button. Click on the Brows button and navigate to .edb file. Here software will provide you two option to select edb database type. Select either Recover Exchange server Private database file (Mailboxes) or Recover Exchange server public store database file (Public Store Files). And click on Ok button. After scanning complete data it will show and successful message, simply click on OK.
Now the user can preview entire folder item by selecting particular folder. You can also select the required emails only for conversion. 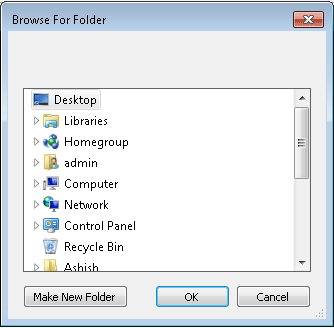 After selecting file or folder according to requirement, click on the EML button from software window menu. Here software will ask you to provide location to save resultant .eml file. You can also create new folder at any location. Software will generate complete conversion process report and save in the .csv file format. After complete process software will show you a successful message in new pop up window. Click on OK to complete the conversion process. Now user can exit from the software windows and view the resulatnt file from stored location. Click on Yes to exit from the software. "One day I need to access one of my older employee emails chats for the company use. I Installed exchange 2010 in my office. So I have .edb file and I was searching a software to convert edb file to eml format. Because I need to access those file out side the exchange environment. I used this tool and efficiently converted entire exchange emails into eml format. Thanks to the support team for their valuable help." "Due to any virus attack all item in my exchange mailbox database become short cut. I was not able to access the stored emails. Then I tried exchange 2010 export mail to eml tool and successfully recovered entire corrupted data. Also it enabled me to convert the mailbox items into eml format easily. I tried this software many time always it gave me the optimal solution. I would pay great thank to the developer team."